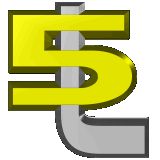 The L5 National Bank™ is going to be the premier banking institution at and for the L5 Nation. It will be offering a full range of financial services to its community and other entities wishing to do business within the Nation. One of the possibilities being investigated is using a blockchain currency as the basis of L5 dollars, the currency of the L5 Nation. Please contact us if you are interested in participating this development effort. Select an option from the menu at the left side of this site to access its features. Please use the contact form below if you would like to be informed of progress in this development effort. NOTE: This offering (institution) is not listed with the US SEC or any other regulatory agency, nor does it have any established banking affiliations, in the United States of America, or under any other governments on Earth. Consequently, and at present, it is only offered as a "novelty" item. This will change in the future, and all "novelty" obligations will be honored at that time. Use the form below if you would like to know when this site is updated. Please use the following form to request priority for this site. None of the fields are required (unless you wish to be notified when this site is updated), but we would like to know who you are, to help us have a better understanding of our community. We would therefore appreciate it if you fill this form in as completely as you are comfortable with. Any information you submit on this form will be held in the strictest confidence. Check here if you wish to be notified when this site is updated. Copyright © 2004-2019 by L5 National Bank. All rights reserved.